How Does VeChain Stand Out from Other Blockchain Companies? 1 How Does VeChain Stand Out from Other Blockchain Companies? 2 How Widespread Is VeChain? 3 What Is the VeChain Foundation? 4 What Benefits Does the VeChain Ecological Environment Provide? 5 How Does VeChain Apply to Real World Industries? 8 What Does the Past and Future VeChain Roadmap Look Like? As one of the first blockchain technology companies found in the world, VeChain has had more time than other businesses to perfect its technology and deliver products that users truly want. Its standing in the industry also means that the vast majority of the VeChain team has years of experience. Over the years, VeChain has proven itself with successful blockchain implementation in various industries, such as agriculture, luxury goods, and liquor. Additionally, VeChain is spread throughout the world with branches in Hong Kong, Singapore, and France, allowing for global implementation of projects. 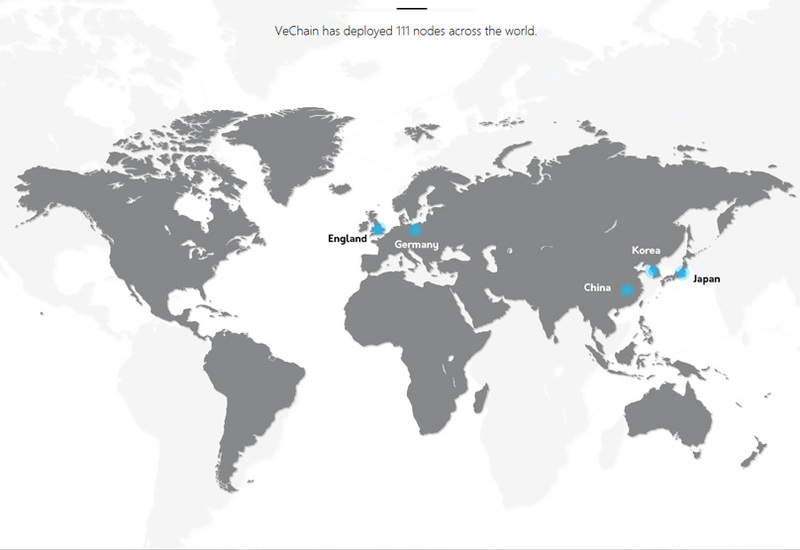 In addition to offices in multiple locations throughout the world, VeChain also has 111 nodes, which are spread across five countries. This allows for decentralization and efficiency. What Is the VeChain Foundation? The VeChain Foundation is a nonprofit that was established in July 2017 in Singapore. The foundation will be the sponsor entity for VeChain, showcasing a commitment to its development, governance, construction, promotion, advocacy, and transparency. What Benefits Does the VeChain Ecological Environment Provide? The VeChain ecological environment provides symmetrical and transparent information. This is just one of the reasons why it is able to reduce the potential for trust issues between the various parties’ interaction on the platform. There is a place for everyone on the VeChain platform, with each contribution being rewarded fairly based on its value. Even better, that value is within an expanding loop accompanied by commercial activity development. How Does VeChain Apply to Real World Industries? 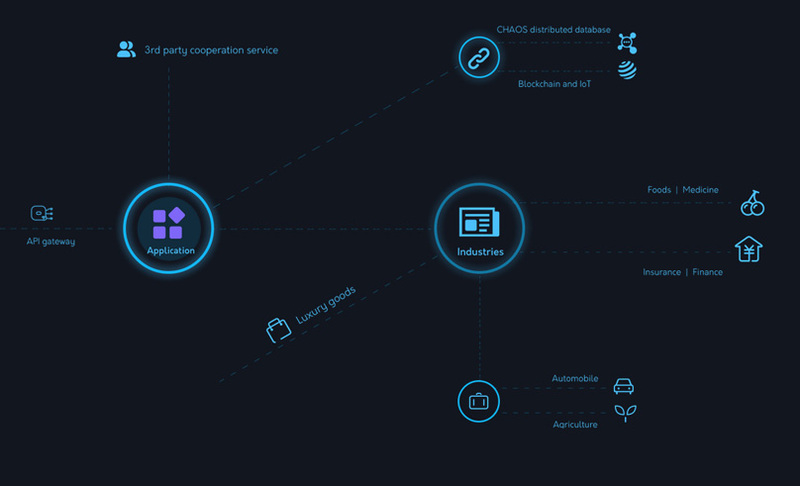 VeChain utilizes the blockchain to provide benefits for a range of industries, addressing a specific concern associated with each particular sector while providing a solution. In the liquor industry, for example, food safety is a crucial concern, particularly with imported foods. Specifically, companies worry about how to stop counterfeiting and how to make tracking and tracing more effective. 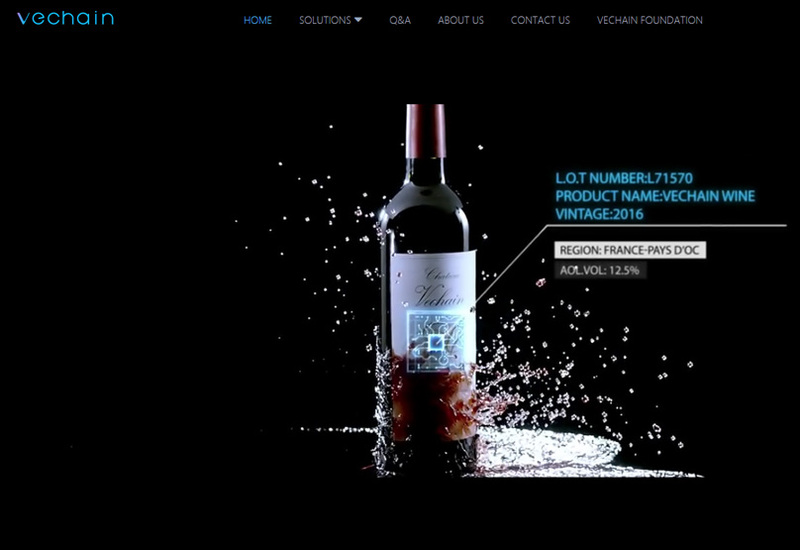 VeChain provides the solution by using the blockchain to track wine and authenticate the service by monitoring each wine bottle throughout production, transportation, importation, and distribution. Businesses can save money associated with losses due to counterfeits. Meanwhile, consumers can easily access information about the drink’s origin, logistics, and manufacturing. Looking at the automotive industry shows an entirely different solution that VeChain can provide, although equally important. This industry is very slow to digitalize. Information like car maintenance records is still frequently stored via physical papers, and traditional collaboration is the norm. VeChain can address this issue by creating a digital profile for every car with its unique ID. It then creates profile authorization depending on the stages of car ownership so all the relevant information about the particular car is in a digital profile operated via smart contracts. Turn to agriculture for yet another application of VeChain. China’s agriculture industry has numerous challenges, such as the decentralized and limited production scale, not enough product safety, inappropriate pesticide and fertilizer use, low labor productivity, and poor quality of products. VeChain utilizes the blockchain and its cloud services to help with green organic agriculture certification, solving some of these issues. The data is uploaded during the production process using IOT and mobile devices with encrypted, immutable data that relevant parties with authorization can easily access. The big data is secure, letting agriculture companies use the information with confidence and make changes to improve crop quality and quantity. At the same time, it increases margins and decreases the impact of pesticides and fertilizers. VeChain also offers specific solutions, outlined on its website, for the luxury goods, retail, cold-chain logistics, and general logistics industries. VEN is the token used within the VeChain ecosystem. This is the token that users utilize to pay for services and products or receive when they supply these things. 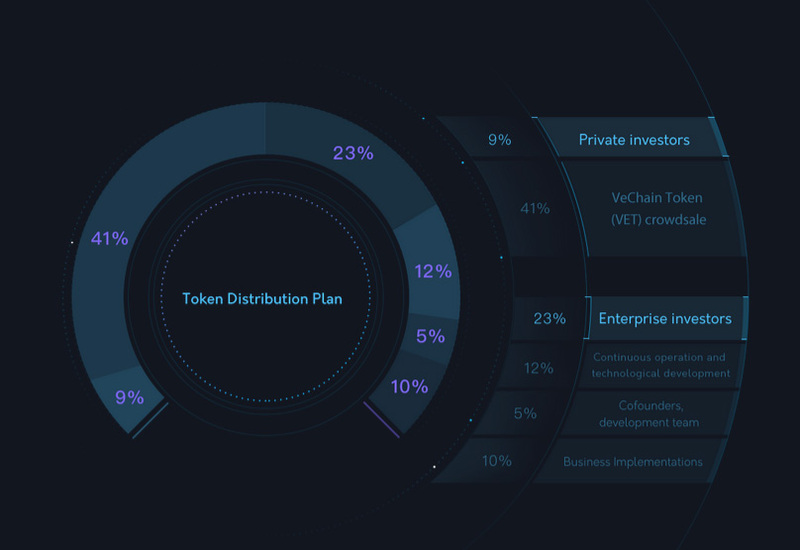 41 percent of the total tokens were distributed during the VeChain token crowdsale, with the profits going to the operation of the VeChain Foundation, such as development, finance, marketing, and legal advisory. A further 23 percent of tokens are allocated for enterprise investors who will use it as a development target for their business. An additional 12 percent of tokens go to the continuous operation of the system, as well as technological development. Nine percent goes to private investors, 10 percent to business implementations, and the remaining 5 percent to the development team and co-founders. 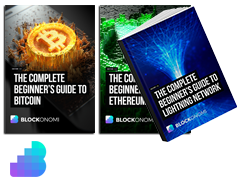 You are not able to purchase VEN with “Fiat” currency so you will need to first purchase another currency – the easiest to buy are Bitcoin or Ethereum which you can do at Coinbase using a bank transfer or debit / credit card purchase and then trade that for VEN at an exchange such as Binance. 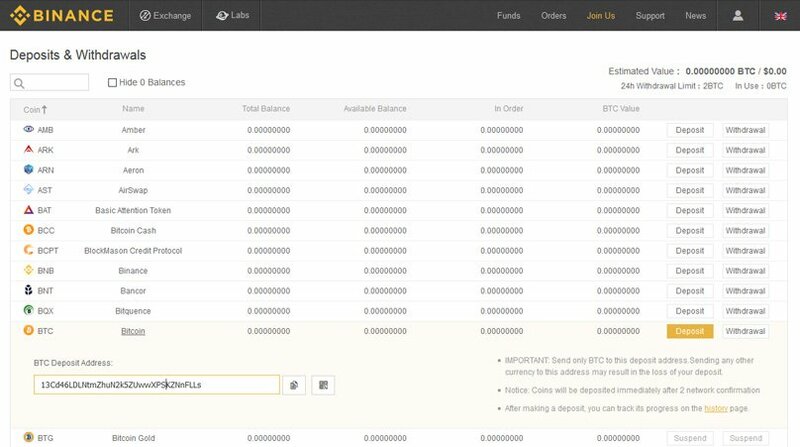 You can now send your Ether over to Binance to make your purchase of VEN, take a look at our review of Binance here to see how to signup and purchase on their exchange. 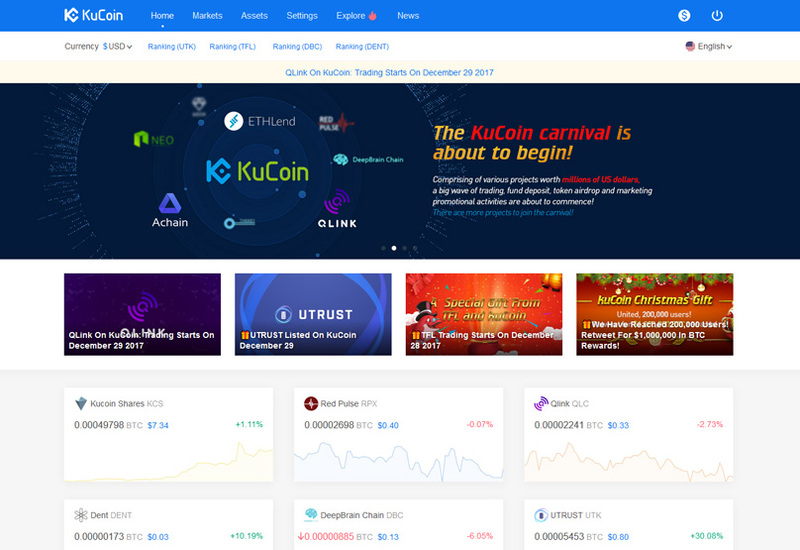 VEN is also available to purchase on the Kucoin Exchange, take a look at our guide here to find out how to use this exchange. What Does the Past and Future VeChain Roadmap Look Like? The initial design for VeChain arrived in June 2015, with January 2016 seeing the initial development of VeChain v1.0 and approval for Ethereum TPOC. In June that year, VeChain v1.0 was launched, followed by v1.5 three months later. Improvements for v1.5 included an API gateway, functional smart contract templates, an iOS app, the VeChain dashboard, a readjustment to the service infrastructure, and the second generation of the VeChain smart chip. V2.0 launched in November 2016 with addition smart contract templates and models for DGIP, DBMSP, and DBGP. V3.0 began in May 2017 with additional business implementation cases, including audit, agriculture, autos, and luxury goods. Quarter four of 2017 saw go-lives for DCCP, CHAOS, BLACP, and PBCP, along with a third-generation smart chip. There were also new business implementation cases, the launch of the VeChain BaaS cloud platform, and an asymmetric blockchain checksum. For quarter two of 2018, VeChain will have v3.0 go live, with the update including rust-restructuring, GAS exchange, audit service, and the launch of the VeChain token. This will complete the 1-to-1 exchange of the ERC20 token and VeChain token. For quarter four, VeChain v4.0 will go live. It will also achieve integration with the commercial ecological environment system platform and integration with IoT, as well as include more specifics for the industrial blockchain cloud.